Courtesy of Realty One Group Inc, Chris Chaney. Visit this spectacular mountain top showplace for this highly upgraded 4 bedroom/3 bath detached executive estate in the very desirable Village Niguel Summit. Largest floor plan (approx. 2400′). One of the highest lots in the tract. Panoramic views of Saddleback Mountain from this pie-shaped lot ideal for viewing a myriad of firework shows on the 4th. Customizations start with kitchen counters in sumptuous quartz, both upper baths are granite, and the down bath is marble. Your truly gourmet kitchen features a 5′ square custom center island to expedite your culinary desires, including lots of storage, stainless appliances, recessed lighting, high end dark stained smoked glass cabinets, & microwave serves as steamer/2nd oven. ALL hard flooring w/rich hardwoods up, spectacular porcelain down!! Master has spa-tub, separate glass-walled shower and cedar-lined walk in closet. Uncompromised views from your private deck. One bedroom/office down with 3/4 bath for multiple options. Note premium BOSE system through out home! Some 220V wiring too. B/I Murphy bed in one upstairs BR. NO road noise in this friendly, quiet cul de sac location. Minutes to the ocean, shopping, restaurants, banking, stores and elite Blue Ribbon elem. school. LOW taxes, LOW HOA Dues ($98 mo!!) Lot features a putting green and plenty of room to entertain. Garage has storage and work bench built in. Note mulberry tree, 2 figs, herbs, etc., for your mojito. MUST SEE DRONE SHOOT virtual tour attached!! 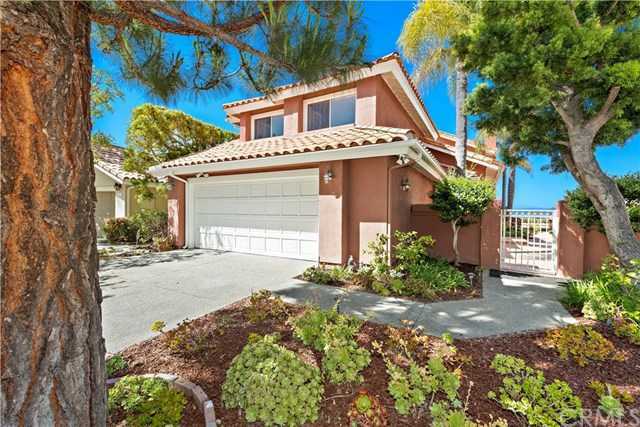 Please, send me more information on this property: MLS# OC19079801 – $1,380,000 – 23251 Arelo Court, Laguna Niguel, CA 92677. I would like to schedule a showing appointment for this property: MLS# OC19079801 – $1,380,000 – 23251 Arelo Court, Laguna Niguel, CA 92677.